Posted on February 23, 2017 by Cam Smithson / This entry was posted in Uncategorized. Bookmark the permalink. Located in Los Angeles, California Cuttwood Vapor is a major industry leader in the e-juice world. Founded in late 2013 by Jared Unger, they are dedicated to producing the highest quality e-liquid possible through research and rigorous testing. 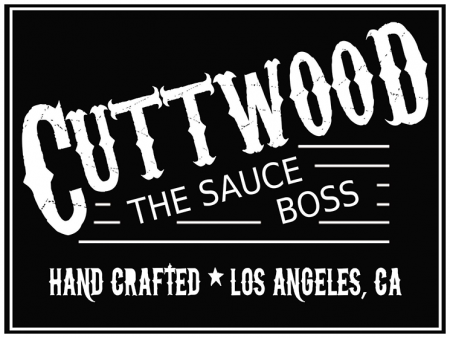 Also known as “The Sauce Boss,” Cuttwood E-Juices are made in a state of the art lab, with strong attention to flavor detail. Cutwood e-liquids are blended seventy percent vegetable glycerin (VG) and thirty percent propylene glycol (PG). The high levels of VG allows for these e-juices to produce thick clouds of vapor, with just enough PG to leave plenty of flavor. The high VG also means it will not work and smoke as well with a standard clearomizer. It is recommended to use a high quality tank or RDA vape to get the most out of Cuttwood. 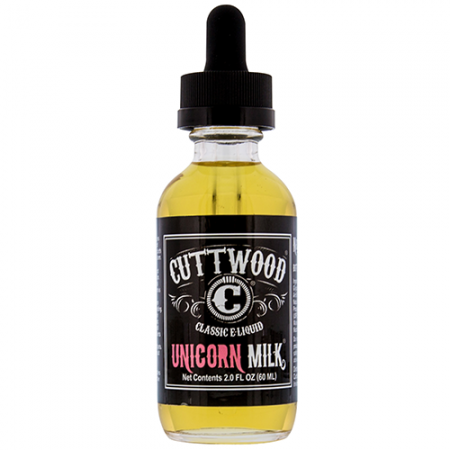 One of the oldest, and easily the most popular flavor Cuttwood has to offer is Unicorn Milk. Described as “a perfect blend of enhanced strawberry extract and four unique fresh creams,” many people compare it to vaping a Nesquik Strawberry Milkshake and it is considered a great all day vape. Although it did receive some backlash from the vape community in it’s early stages due to small amounts of titanium dioxide found in the juice that gave it it’s pink coloring and meant health hazards among smokers, the brand has since gotten rid of the coloring and health risks and yet managed to keep the classic taste all the same. Cuttwood has bounced back stronger than ever, and further solidified their place in the industry. Along with Unicorn Milk, Cuttwood offers other great flavors such as, Outrage Orange, Livid Lime, Manic Mint, Tobacco Trail, Bird Brains, Boss Reserve, Mega Melons, Mr. Fritter, and Sugar Drizzle. All flavors come in your choice of 0, .3, .6, 1.2, or 1.8 percent nicotine. 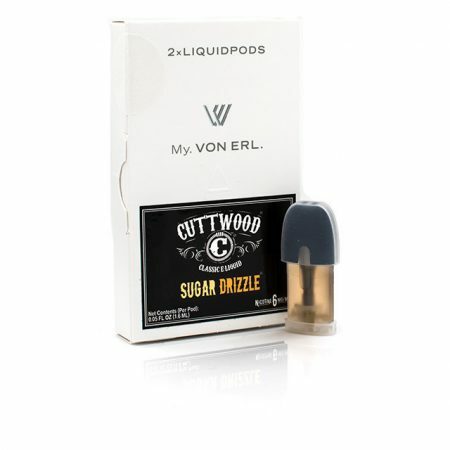 Cuttwood has also teamed up with Von Erl, so you can now enjoy all of your favorite Cuttwood vape flavors with Von Erl!